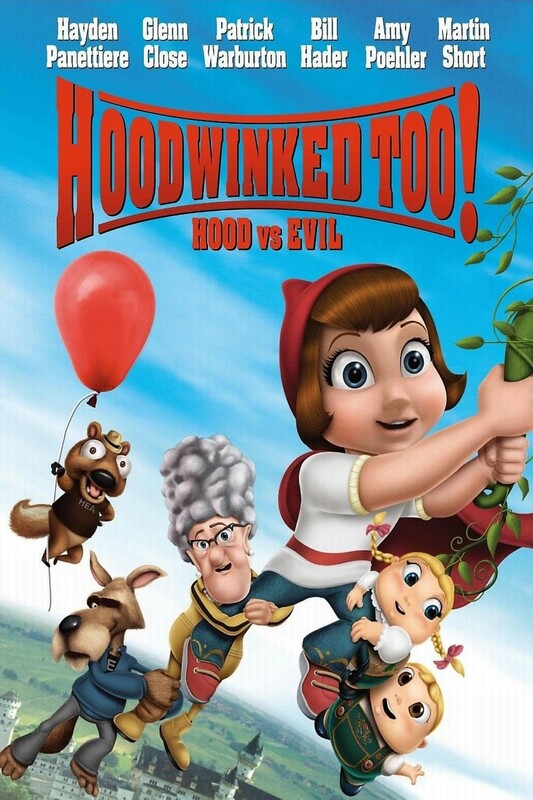 Hoodwinked Too! Hood VS. Evil DVD and Blu-ray release date was set for August 16, 2011. Hansel and Gretel have disappeared and it’s up to Red Riding Hood to find out where they’ve gone. Red and her faithful sidekick, the Wolf, are training for the Sister Hoods in a distant land when they get the call about their fairytale friends gone missing. After receiving tips from the Happily Ever After Agency, the fearless pair set out on a journey to reveal the grim truth about Hansel and Gretel’s whereabouts. It seems the dandy brother and sister are in cahoots with evil forces, faking their own kidnapping and morphing into massive beasts to overtake the fairytale world. It turns from a rescue mission to a search and destroy as Hansel and Gretel lead Red and her pals on a wild chase through the world of magic and make-believe.